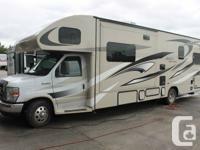 *NEW* 2017 Jayco Greyhawk 31FS C Class Motorhome. 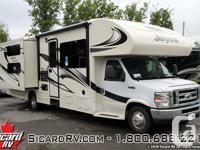 Sleeps 6-8 people with two slide-outs for purchase at Owasco RV!! 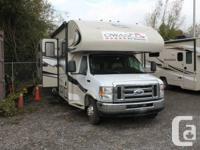 (Call us: 905-579-XXXX) Includes lots of popular features such as: -Customer Value Package-Aluminum Rims-24" TELEVISION in bedroom-Backup and Sideview Camera-J-Ride Plus package-Electric Awning w/ LED Lamps-Touch screen sound, GPS, CD, DVD, MP3-TELEVISION in bunks and much more! Please note that product details, pricing and pictures are as accurate as possible. Prices and specifications are subject to change without notice. 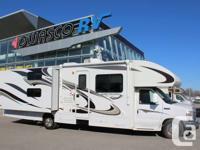 All noted Canadian pricing are subject to applicable Licensing charges and Taxes. Pricing will change based upon current value of the Canadian dollar.